Zamakona Yards, along with others companies, will sponsor the celebration of the first conference organized by the Spanish tuna industry. We have vast experience in the construction of Fishing Vessels. Today, we are building a Live Fish Carrier for Solvtrans Rederi and a Tuna Purse Seiner Vessel for Echebastar Fleet. 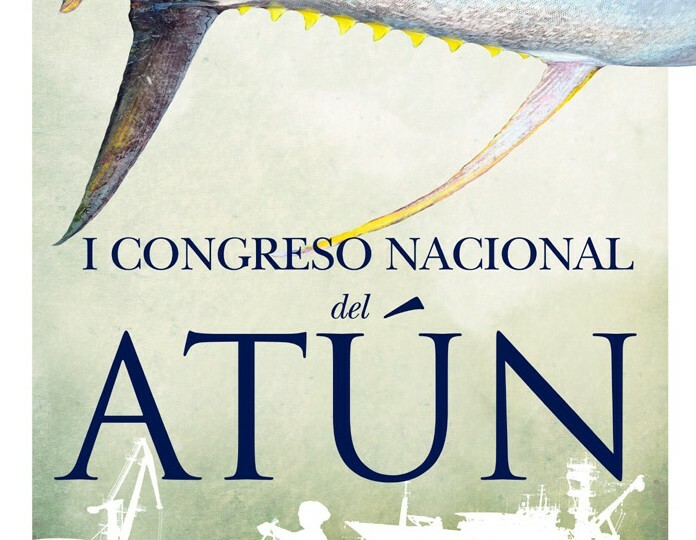 Miguel Arias Cañete, Minister of Agriculture, Food and Environment will chair the inauguration of the first major National Congress of Spanish tuna industry which will take place in Madrid on 7th and 8th November. The event will address the challenges of the industry, both fishing and canning, from a scientific, technology, environmental, nutritional and historical perspective for highlighting its important economic and social dimensions. The scientific coordinator of the meeting is José Luis Cort, researcher at IEO. Other prestigious international scientists like Victor Restrepo at the International Seafood Sustainability Foundation (ISSF) or Joshua Santiago, president of the Scientific Committee of the International Commission for the Conservation of Atlantic Tunas (ICCAT) will also participate. As well as the academic presence, representatives of leading companies and business associations linked to the industry will also attend (INTERATUN, OPAGAC, ANABAC-OPTUC, ANFACO-CECOPESCA and FEICOPESCA). The Spanish tuna industry represents an annual economic volume of nearly 1,120 million euros, provides 18,600 direct jobs and 43,600 indirect and represents 70% and 67% of the activities of tuna fishing and canning in Europe. The activity is concentrated in Galicia and the Basque Country, which represent together 97% of the total. The congress will be relate about history of tuna fishing and canning industry, sustainability in tuna fishing and processing, the socioeconomic impact of the tuna sector in Spain, nutritional and healthy consumption of canned tuna, the internationalization of Spanish tuna sector, the R&D+i in the tuna industry and about the prospects and challenges of future. The Interprofessional Organization of Tuna (INTERATUN) is the first association formally established and recognized by the Ministry of Agriculture, Food and Environment in the field of fisheries. INTERATUN includes tuna vessel owners and the processing industry and marketing of tuna, being represented in it others organizations, ANABAC-OPTUC and OPAGAC as represents of fishery industry and ANFACO and FEICOPESCA as processing and marketing industry. Since INTERATUN started business in 2001, this organization has joined the efforts of freezer tuna fleet and the processing industry and marketing of tuna to defend common sectoral interests. WHEN WILL BE THE BALLAST WATER CONVENTION RATIFIED BY THE INTERNATIONAL MARITIME ORGANIZATION? 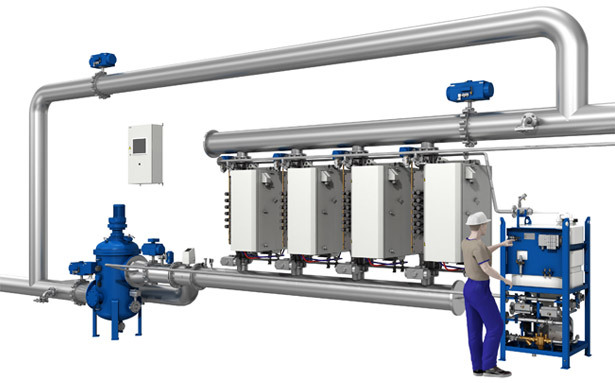 According to industry sources, 2012 will be the year that the Ballast Water Convention (BWM) will see ratication by IMO. Today, the total number of contracting Parties to the BWM Convention has reached 36, representing 29.07% of the world tonnage after ratification by Denmark (35% will be needed for the Convention to enter into force). In september 12th, IMO Secretary General – Koji Sekimizu urged a decisive action on ballast water. Eight years has passed since the Convention´s adoption. Why is the BWC so important? This video filmed by Smithsonian Institution explains how scientists are trying to prevent invasive species from hitching a ride to new ecosystems aboard. 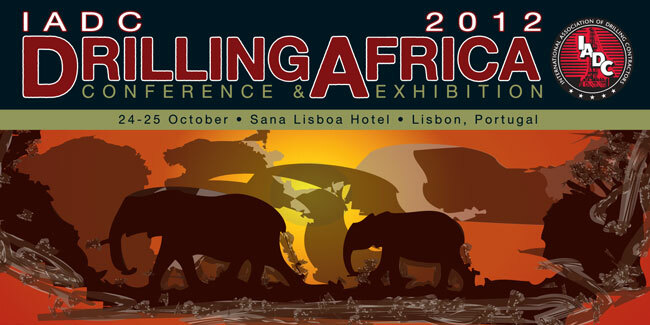 Since tomorrow, during two days, Zamakona Yards will attend to IADC Drilling Conference & Exhibition Africa 2012 in Lisbon. The African continent has undergone sweeping geopolitical change over the last year. How will this affect one of the world’s leading E&P markets for well construction, spanning onshore activity, as well as shallow and deep water? IADC Drilling Africa 2012 will explore all aspects of well construction in this vital region, including deepwater, emerging markets, HPHT, re-entry drilling for gas redevelopment, underbalanced and managed pressure operations, community development, training and competency, work force development, logistics, security and more. Here, you can view the conference program. We will report on the main results and conclusions. 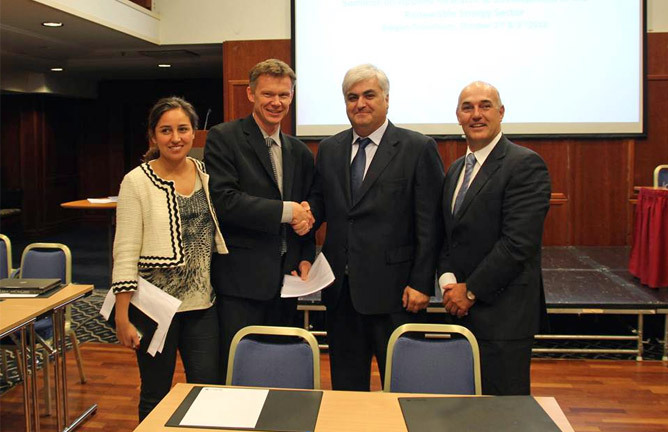 Last week, during the EEA Grant Conference arranged by Innovation Norway and CDTI in Bergen, the Norwegian company Langlee Wave Power and Repnaval Shipyard (Zamakona Yards) signed an agreement to development of wave power in the Canary islands. The two companies will file a common application to the EEA grants for development of renewable energy in Spain. Langlee Wave Power AS has developed a unique technology to convert waves in the sea into electricity and the company consideres the Canary Islands to be the best place for wave power in Europe. The achipielago has a good and stabile wave climate and todays electricity, primary produced by diesel generators, is expensive and with a significant CO2 contribution. With the Langlee technology, electricity can be produced with lower cost by a renewable energy source. The development will create hundreds of local jobs. Langlee Wave Power has its head office near Oslo, Norway and has recently established a subsidary in Gran Canaria. Repnaval S.A. in Gran Canaria is part of Zamakona Yards which is one of Spain’s main shipbuilding and repair groups with more than 1.000 employees located also in Bilbao, San Sebastian and Las Palmas Gran Canaria. Proexca, the public company for economic development of the Canary Islands, has had an important role in making this cooperation happen. Langlee and Repnaval have in more than a year been in dialogues for a possible cooperation and have huge plans for development of wave power in the Canary Islands. Zamakona Yards believes the renewable energy is the future. Today, we are working in different projects in this area. We´ll continue reporting. The International Marine Contractors Association has published a safety guidelines for Offshore Vessels when docks in port and harbours. Ship enter and leave ports regularly. Tying up a ship when alongside a berth or another vessel is potentially a very hazardous operation unless simple and effective safety procedures are followed. Mooring accidents are always on the list of personal injury accidents, often resulting in severe injuries or even fatalities. These are very simple guidelines marked by common sense, but that it can save of serious accidents and even human lives. 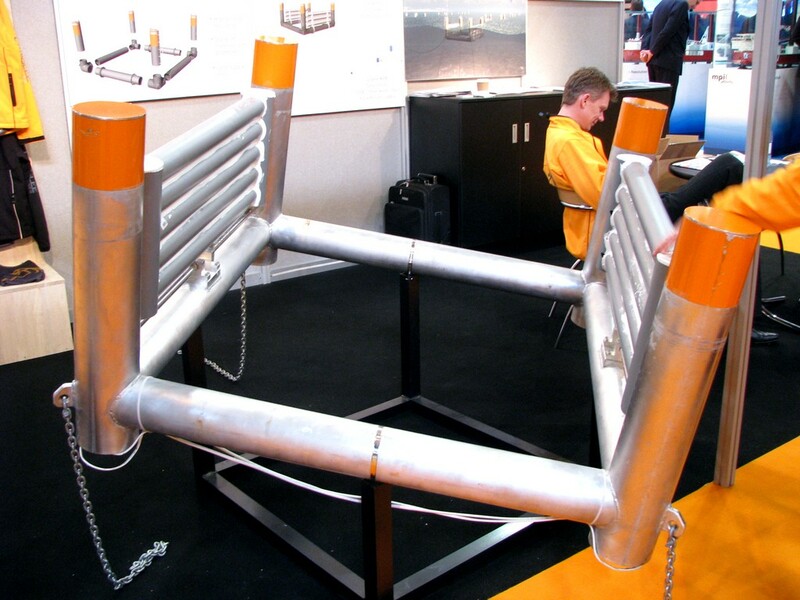 For the mooring safety, the people involved in the operation has to have in mind several factors. We are going to look at these factors, according the Safety Guide of IMCA (IMCA M 214). 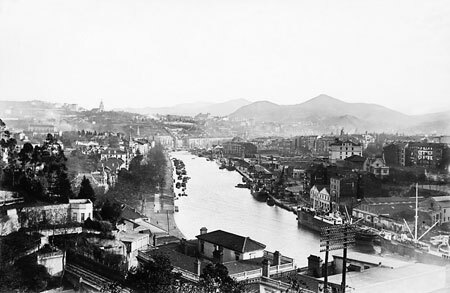 The documented foundation of the Port of Bilbao dates from 700 years ago, but the River, where it was born, was used as natural shelter much before. In the very Middle Ages, boats arrived as far as San Anton Church situated just at the entrance to the walls that protected the town of Bilbao, where the salt water of the tides mixes with the soft waters of the Nervion River. At that time, the Port of Bilbao was the outlet to Europe for the goods from the Castilian plateau and the entry for goods from the Atlantic sea face and the South American colonies into the Iberian Peninsula. In 1511, the Consulate of Bilbao was established, and works were carried out to improve the channelling of the River, which stretches 14 kilometres to its mouth in the Bay of Biscay. However, it was in 1872 when merchants, miners, shipbuilders and industrialists joined together to set up the Council for Works of the Port and River of Bilbao. In 1877, Evaristo de Churruca, a key character in Bilbao’s history, completed the Iron Dock at Portugalete, the first port work to allow vessels with great drafts access to the River. 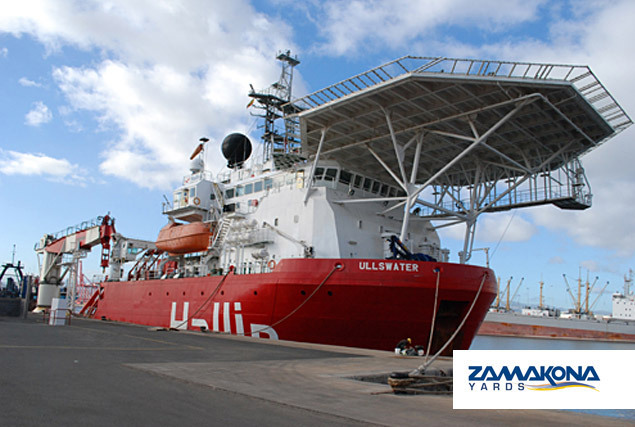 This year 2012, Zamakona turns 40 in the construction and ship repair market. It has been a long journey and we want to celebrate with you. After hard work during months, today we present our brand new website and Facebook & Youtube channels. A fresh new start on Internet. We hope you find all you are looking for on our new website. Don´t hesitate to contact us for further information, so we are sure we will be able to help you! 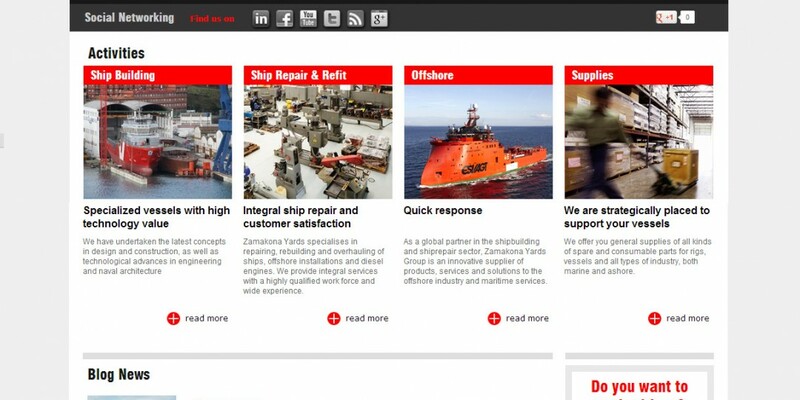 We hope you will enjoy navigating our new site and we are looking forward to hearing from you!